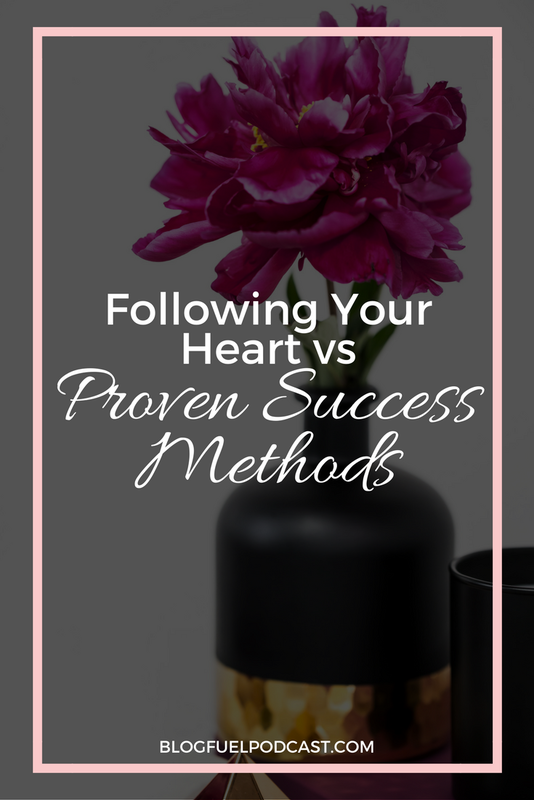 How many times have you seen an ad on Facebook or Pinterest talking about the proven success methods that you can buy for a simple payment of $99? And how many posts have you read that tell you what you need to do and when in order to make your dreams happen? If you’ve been online for more than 37 seconds, you’ve seen this many times. But what if those things feel wrong? 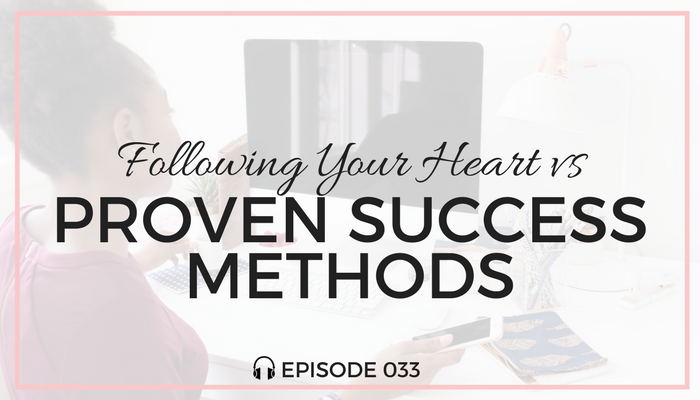 In this episode of the podcast, we’re talking about following your heart vs following proven success methods. Want to see a fun update? Check out Kirsten’s new fun/snarky about page! Formulas are designed to make things easier. This includes for your business. But when it comes to branding and marketing, there really isn’t a one size fits all formula to success. Hard truth? Even “proven” formulas will provide a variety of results. Just because it works for one group of people doesn’t mean it’ll work for you. And that’s not a reflection of your ability to be successful. There are a lot of rules when it comes to online business. But those rules will confine you and cause you to blend in. As you grow, bend and break those rules to help you stand out. eCourses play a HUGE role in “success duplication” theories. Want to know what will really make a difference in your business growth? Confidence in yourself and your ability to grab your dreams by the reigns. Here’s a quote for ya. “If you’re marketing to everyone, you’re marketing to no one.” Stop trying to fit everyone. Niching down is a powerful factor in your growth as a business owner. Once you niche down, you’re able to pursue your passions with more intention and that intention will help you produce quality content. Try new things! But only continue the practices if they work for you. If it doesn’t serve you, let it go. Take time to reevaluate when you’re feeling off/icky/overwhelmed. If you’re not enjoying what you do, it will reflect in your business and affect your profitability. Success isn't something you can replicate, buy or have without passion. But what happens when you're fed formulas that don't work and business feels icky?